Giovanni Solinas will need to show tactical acumen if Kaizer Chiefs are to come up against Orlando Pirates in the Soweto derby without Khama Billiat and Lebogang Manyama, writes MARSHALL GOUTS. Amakhosi head into the Absa Premiership clash against their arch-rivals on the back of a hard-fought Telkom Knockout victory against Black Leopards on penalties. Despite clinching their spot in the quarter-finals – alongside the likes of Bidvest Wits, Mamelodi Sundowns and Orlando Pirates – the victory raised tense questions regarding the team’s readiness for the biggest match on the South African football calendar. 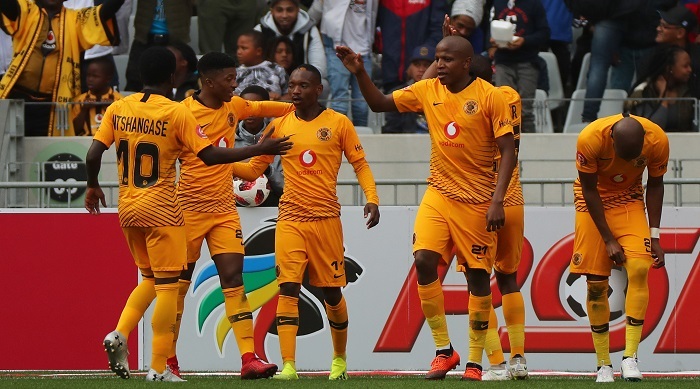 Chiefs looked completely toothless in attack in their victory against Leopards, with veteran forward Bernard Parker the only ray of shining light in a rather bland performance. Solinas made a whopping seven changes to the side that lost to Polokwane City behind closed doors, with Virgil Vries, Eric Mathoho, Hendrick Ekstein, Philani Zulu, Parker and Gustavo Paez being handed rare starting berths. While these players stepped up in the absence of regulars Leonardo Castro, Billiat, Manyama, Dumisani Zuma, Siyabonga Ngezana and Daniel Cardoso, it was the disjointed and uninspired performance of the black and gold that alarmed most Chiefs fans. Solinas acknowledged that his side were nowhere near their best, citing similar experiences with La Liga giants Barcelona and Real Madrid when they are without a number of their stars. It remains to be seen if Chiefs will be boosted by the returns of their regulars, but if not, Solinas will need to implement a plan to conjure up an inspired performance from his team. Chiefs were far from convincing in their last three games and defeat to rivals Pirates would certainly pile on the pressure for the Italian mentor. 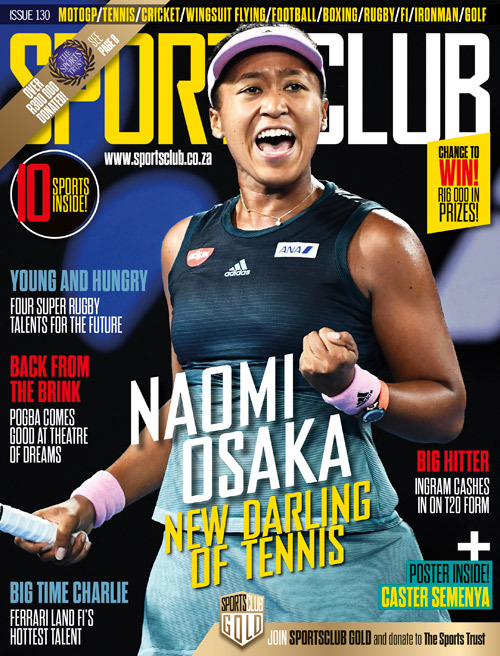 Chiefs occupy third spot on the table, but one of the biggest concerns since the start of the 2018-19 campaign has been the shakiness of their back four. Chiefs were the laughing stock at the start of the season after the defensive mix-up that saw Cardoso net an embarrassing own goal. Amakhosi’s leakiness is has caused them to have one of the poorest defences in the league. Solinas’ side have conceded the fourth-most goals out of all the teams (nine goals in 10 games). The acquisitions of former Mamelodi Sundowns and SuperSport United defenders Mario Booysen and Ugandan international Godfrey Walusimbi have certainly helped Chiefs’ cause, with Solinas seemingly having settled on his preferred back four. Orlando Pirates assistant coach Rulani Mokwena got the ball rolling as far as mind games go heading into the Soweto derby. In what can be construed as a tactic of deflecting pressure off their own camp, former Mamelodi Sundowns assistant Mokwena not only revealed that Pirates could have snapped up Billiat prior to his move to Chiefs, but the former Silver Stars assistant personally attacked Solinas. Mokwena suggested that Chiefs are worse off under the new coach than they were under Steve Komphela, who was at the helm for three seasons without bearing any fruit. While one can acknowledge the brilliance behind Pirates’ tactic, where does that leave Chiefs and Solinas? The best remedy would be to let the football do the talking. If Solinas does garner victory against Pirates with a ‘weakened squad’, it will go a long way in cementing his spot in the hearts of the Amakhosi fans. Solinas might be forced to reshuffle his usual starting XI as he did against Leopards if things don’t go according to plan for Billiat, Castro and Zuma in their bid to be fully fit in time. On paper, minus the abovementioned players and Andriamirado Andrianarimanana, Joseph Molangoane and Manyama, Chiefs don’t boast enough quality in their ranks to compete against a star-studded Pirates outfit, who are aided by some big-name players on the bench and in the stands. Solinas has been criticised for not sticking to one starting XI, with many Amakhosi suggesting that he is trying to appease them all. If this were the case, it would ultimately fail as results will not always go the team’s way. But what Chiefs do have in their favour is that the pool of players available to Solinas is ready, having most likely been handed an opportunity at one point or another in the season. The partnerships that Solinas decides to deploy on Saturday will be integral for a positive result. In central defence, he has to decide which two defenders will go to war against a tricky Pirates attack. Based on form, Solinas is likely to pair Ngezana alongside the towering Mario Booysen, leaving the likes of Cardoso and Teenage Hadebe on the bench. The engine room at Amakhosi will provide even more of a welcome headache for Solinas, with several players gradually finding their form. In the infamous 4-1 victory against Cape Town City, Chiefs adopted one of the most attacking approaches yet with Billiat, Castro, Manyama and Zuma all on the pitch with Katsande as defensive midfielder. Fast forward to the 2-0 victory against Free State Stars where Chiefs played some on their most enterprising football. Solinas almost completely changed the midfield, deploying players comfortable with the ball at their feet in George Maluleka, Ekstein, Zulu and Paez. Point is, Chiefs have a number of options all over the pitch, but getting the combinations spot on to maximise their strengths while exposing Bucs’ frailties is the battle that Solinas currently faces.